The small GP Mounts from MindShift Gear is a compact storage case designed to hold an assortment of small to medium sized GoPro mounts and accessories. 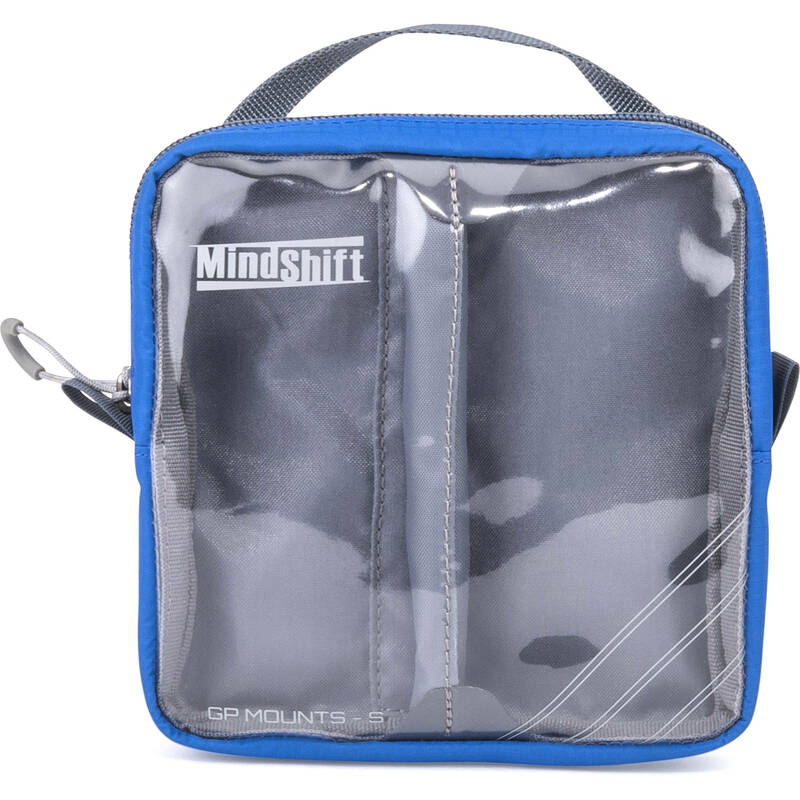 It features a clear front panel so you can easily see all of the contents inside, and a clear rear zippered pocket for organizing smaller items. A center divider inside the bag helps you keep your mounts separated, while an ID window and included contents card let you label the contents of the case for quick reference. For carrying, a fabric handle is provided on the top of the bag. The entire fabric exterior is treated with a DWR (durable water repellent) coating while the underside is coated with PU for water-resistance. The case fits a variety of small to medium sized GoPro mounts, such as The Frame, Handlebar/Seat Post/Pole Mount, Roll Bar Mount, Tripod Mount, Curve + Flat Adhesive Mounts, Removable Instrument Mounts, Mic Stand Mount, Head Strap + Quick Clip, Helmet Front Mount, Side Mount, Vented Helmet Strap Mount, NVG Mount, Surfboard Mounts, and Grab Bag of Mounts. Box Dimensions (LxWxH) 6.1 x 5.9 x 1.7"